A delightful aspect of Lotus ownership is never quite knowing whether the next drive is going to involve agony or ecstasy. 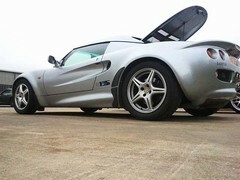 Some people might consider this unpredictability to be a flaw, and they tend to become ex-Lotus owners rather quickly. I guess the fact I've still got mine means I'm slowly learning to accept it as part and parcel of the Lotus experience. Last month began with some welcome highs. It's been just over a year since I had the entire suspension refreshed on the Elise. Alongside refurbished wishbones and a full complement of new bushings and balljoints the old Bilstein fixed rate dampers were replaced with Nitron NTR units. These units feature a simple damping adjuster that tunes both compression and rebound in ratio via a single dial. Of course, despite paying a premium for all the bells and whistles I've not touched them since they were fitted. My trip to Scotland, however, gave me the motivation I needed to, er, get underneath the arches and have a fiddle. 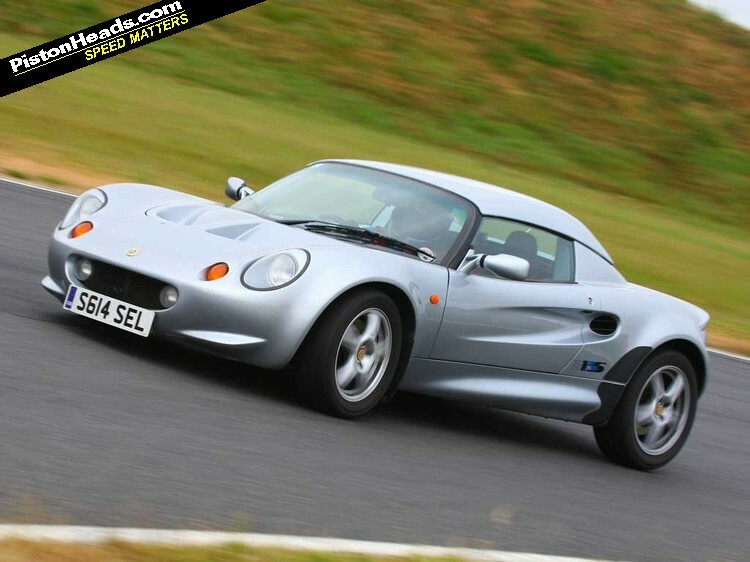 On amazing roads, which should have perfectly suited the Elise, I was treading on eggshells. If I'm honest, I've lacked a bit of confidence in the car ever since the suspension was overhauled. Undoubtedly the damping had much more control, and the ride over small bumps was considerably improved, but I always felt that the limits were uncomfortably angular and abrupt, that push too far and it would snap without warning. Consequently I've always been pretty circumspect behind the wheel. This narrowing of the performance window was something alluded to in one of the comments when I took it to Brands Hatch last year, but I'm ashamed to say it's only now that I've gotten around to doing anything about it. Getting at the adjusters was pretty simple, and after a few minutes fiddling I had gone from 10 clicks front/12 clicks rear from full hard to five clicks front/four clicks rear from full soft. And what a difference it has made. The car is completely transformed. Obviously I've still got the excellent compliance I had before, but now there's a much greater depth to the suspension travel. There's now a small amount of body roll, and the dampers now load up progressively, really communicating the forces being channelled through them. Where before there was a wall of silence leading up to a massive tantrum, now there's a constant dialogue. I'm happier, the car feels happier and all it took to make things click were ... a few clicks. The handling transformation came just in time for an enjoyable (and roofless, you'll be pleased to hear) drive down to Goodwood for the Festival of Speed followed by a track day at Bedford accompanied by an Elise owning colleague. His car is an immaculate S1 TT190 with the Turbo Technics Supercharger kit and it's also running the Nitron NTR damper, but set up much closer to standard ride height, so there's a bit more suspension travel. This extra body movement on his car was noticeable even from the passenger seat, although it felt like the dampers took equally good care of controlling that travel as they moved through the stroke. More obvious still was the extra power and torque; while my S1 Sport 135 is all about the top end, the TT190 just surges away from lower revs, despite its taller gearing. But if that sounds like the prefix to another round of upgrades, it's not. I've reached a point where everything seems to be gelling perfectly, and I'd be mad to jeopardise that balance. It's more at home on track than it's ever been - poised, communicative, adjustable - and on the road it's better still. So, does that mean there's harmony at last in our relationship? Sadly no, because on the drive home from Bedford I lost all power and the car spluttered to a halt just half a mile from my house. The likely cause is a melted alternator, but I've yet to get it in for the full diagnosis. Highs and lows; the bread and butter of Lotus ownership. This month at a glance: Suspension fettling brings new levels of confidence and enthusiasm, only for the bubble to burst thanks to alternator problems. Is it time for the Elise to go? A cry of alarm from the Lotus - just drive me! 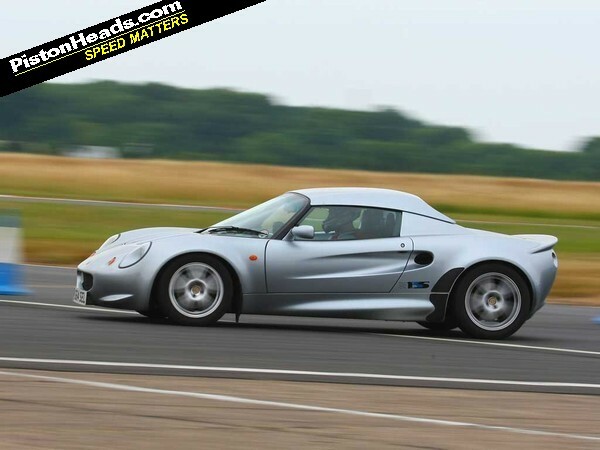 Why is the Elise slower on its new suspension then? Lotus spent a great deal of time tuning the Elise's suspension, particularly in relation to the tyres which were developed with the car. It's not a surprise that changing this dynamic required a little adjustment. 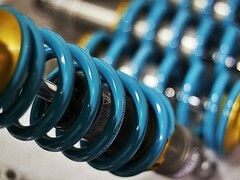 Personally I simply updated the Konis to the S2 Bilstein, but always fancied the Nitrons. Having owned a few sports cars I would have to say that the Lotus ownership dilema is nonsense though. You had trouble after a track day with a 15 year old car. The cost of the fix will be buttons compared to a Porsche or Ferrari. 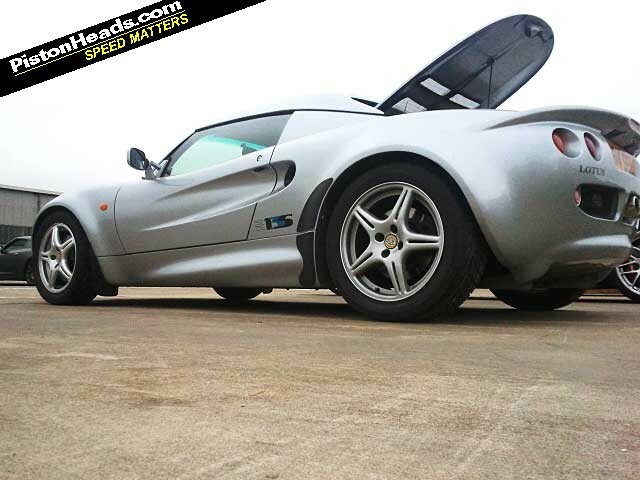 Whilst I've moved on from Lotus, personally I feel that Elise ownership offers cheap thrills like no other marque. Sports cars are expensive to run and maintain, Lotus is better than most. The "Lots of Trouble Usually Serious" label is old, boring and lazy. I'm looking at replacing the aircon on a 2004 S2 111R at a cost of £2200. To me, that isn't cheap motoring. Understand your comments on adjusting the damping on the suspension. I have Nitrons on my VX220, and the supppliers 'recommended' road setting really did the car no favours on the road - its made for a substantially more uncompromising and spikey experience, except for a few, very uncommon, smooth section of B-road where you could properly lean on it. A few clicks downwards and its significantly more compliant and quicker overall. 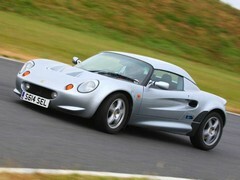 A set of Elise 111R Bilstein suspension was almost as good on the road for a fraction of the price.. So easy to change I'll prob keep these for winter use..
Lotus spent a great deal of time tuning the Elise's suspension, particularly in relation to the tyres which were developed with the car. Not for the S1 they didn't. Pirelli tyres off the shelf and Koni dampers saw many many S1s going backwards through hedges. 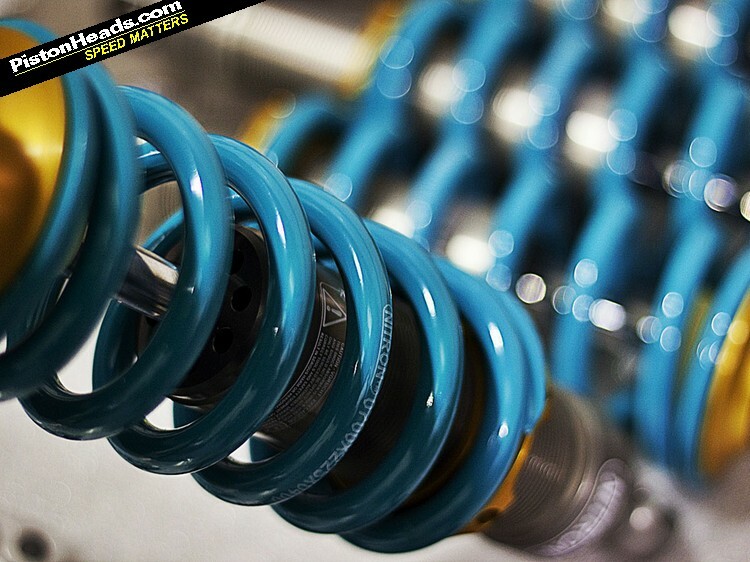 They got a more bespoke setup for the S2, via Bridgestone RE040s and Bilsten dampers with Eibach springs. I have the S2 Bilsteins on my S1 but will be fitting Nitrons asap as, in my experience from owning a Nitron-equipped S2 for many many years, they're much better.